Acer, Asus, Dell, Fujitsu, HP, IBM, Lenovo, Panasonic, Toshiba and other device manufacturers have started releasing BIOS updates that should patch the recently disclosed Spectre and Meltdown vulnerabilities. The flaws exploited by the Meltdown and Spectre attacks, tracked as CVE-2017-5715, CVE-2017-5753and CVE-2017-5754, allow malicious applications to bypass memory isolation mechanisms and access sensitive data. Billions of PCs, servers, smartphones and tablets using processors from Intel, AMD, ARM, IBM and Qualcomm are affected. Fortunately, tech companies have already started releasing patches and workarounds designed to prevent attacks. Unfortunately, some of the mitigations can introduce significant performance penalties for certain types of operations. Intel has released patches, including microcode updates, for many of its processors, and AMD has promised to do the same. Intel has provided the fixes to system manufacturers and they have already released or are in the process of releasing BIOS updates. Acer has informed customers that the Spectre and Meltdown vulnerabilities affect many of its desktop, notebook and server products. It’s unclear when BIOS updates will become available for a majority of the impacted devices, but the company has set a target date of March 2018 for server updates. The list of impacted products includes Aspire, Extensa, Gateway, imd, Predator, Revo, ShangQi, Veriton and Wenxiang desktops; Aspire, Extensa, Gateway, Nitro, Packard Bell EasyNote, Spin, Swift, Switch, and TravelMate notebooks; and Altos, AR, AT, AW and Veriton servers. Asus is also working on releasing BIOS updates. The company expects to release patches for affected laptops, desktops and mini PCs by the end of the month. Asus has published a separate security advisory for motherboards that support Intel processors vulnerable to Meltdown and Spectre attacks. Dell has already started releasing BIOS updates for affected Alienware, Inspiron, Edge Gateway, ChengMing, Enterprise Server, Latitude, OptiPlex, Precision, Vostro, Venue and XPS products. The vendor expects many more updates to become available later this month. Dell has published a separate advisory for EMC products, including PowerEdge and Datacenter Scalable Solutions (DSS). Updates are available for many of the impacted systems. 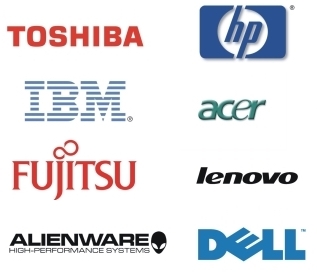 Fujitsu has informed customers that many of its OEM mainboards, Esprimo PCs, Celsius workstations, Futuro thin clients, Stylistic, Lifebook and Celsius notebooks, Celvin storage devices, Primergy and Primequest servers, Sparc servers, and retail products are affected. However, BIOS updates are available only for a handful of them. Intel has started integrating the processor microcode fixes into BIOS updates for NUC, Compute Stick and Compute Card mini PCs. Updates are available for many of the products and more are expected to be released later this month. The company is also working on updates for Server Board and Visual Compute Accelerator products, but only two BIOS updates have been released to date. Intel has not provided an estimate on when more updates should become available. HP has started releasing BIOS updates that patch the Meltdown and Spectre vulnerabilities for commercial workstations; commercial desktops, notebooks and retail PoS devices; and consumer desktops and notebooks. Updates for the remaining systems are expected to become available later this month or in early February. Lenovo says many of its desktop, IdeaPad, ThinkStation, Converged and ThinkAgile, storage, Hyperscale, ThinkServer, ThinkSystem, System X, network switch, and server management products are affected. Lenovo has released BIOS updates for many of its solutions, and the company has also advised users to update their operating system and NVIDIA drivers to ensure that they are protected against Meltdown and Spectre attacks. Gigabyte has a long list of impacted motherboards, including the Z370, X299, B250, H110, Z270, H270, Q270, Z170, B150 and H170 families. The company has promised to start releasing BIOS updates in the next few days, with updates for a majority of systems expected to become available over the next few weeks. IBM has released firmware patches for some of its POWER processors. Fixes for its AIX and IBM i operating systems are expected to become available in mid-February. Getac Technology, a Taiwan-based firm that makes rugged notebook, tablet and handheld computers, has promised to release BIOS updates by the end of this month. Toshiba has published a list of affected Qosmio, Satellite, Portege, Tecra, Chromebook, Kirabook, AIO, Regza, Mini Notebook, Encore, Excite and dynaPad devices, but it has yet to release any updates. Some of the fixes are expected later this month. Data center hardware provider QCT says it has integrated the microcode patches into a majority of its recent products. Super Micro has also issued fixes for many of its single, dual and multi-processor systems; SuperBlade, MicroBlade and MicroCloud products; and embedded, workstation and desktop systems. Computing and storage solutions provider Wiwynn has released BIOS updates for its SV300G3, SV7200G3, SV5100G3 and SV5200G3 products, and more are expected to become available over the next few weeks. Panasonic hopes to release updates for its laptops and tablets over the next few months.